I posted before that there were four things we wanted to see on our trip: Bruges, Ghent, Amsterdam and some Christmas markets. 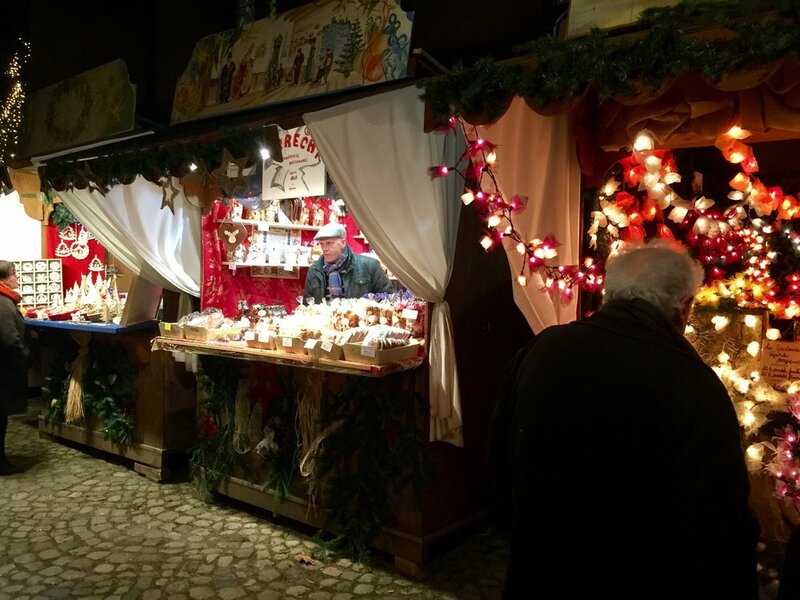 After having achieved the first three, conversation returned often to which major market/town we should visit (I put some geographical limits - not Berlin/Vienna/Salzburg/and other 5 day journeys) we settled on visiting Strasbourg home of the oldest Christmas market followed by Freiburg. In between we would follow my Trover inspired itinerary through Alsace. 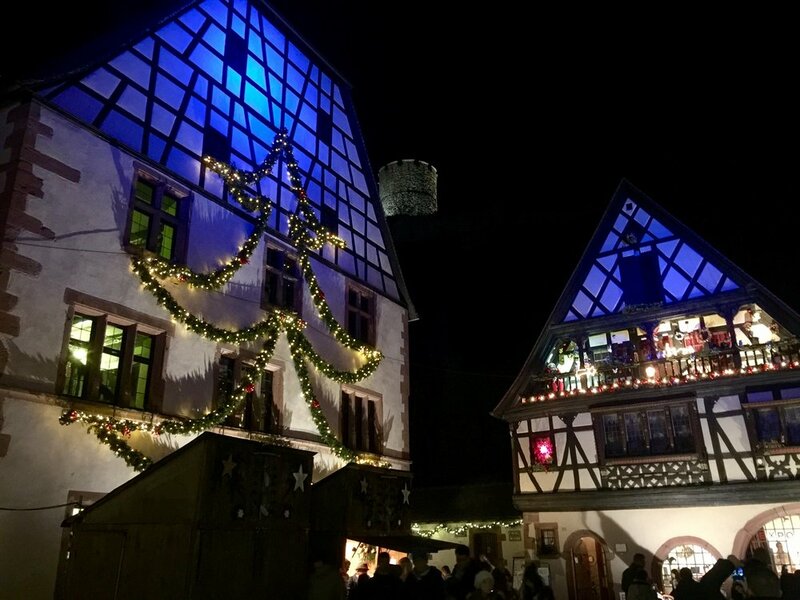 It turns out that every single town, city, village or random cluster of houses in the General Rhineland/Alsace area has a market at some point in the Christmas period. By the time we had even made it to Strasbourg we had visited at least three by accident. With very few exceptions, they all sell exactly the same thing and you could see it all and better by going to Birmingham. As Ali (also known as no. 1 Christmas fan in the world) nicely put it: I've had enough of crap Christmas markets. It also became apparent after Strasburg that bigger was not going to be better. What Ali/we really wanted was to EXPERIENCE a perfect Christmas market - does one even exist? Things distinctly took a turn for the better when we left Strasbourg. We headed down the Alsace wine route which takes you the scenic way down from Strasbourg to Colmar. I really can't recommend it enough as a Christmas experience; every village and small town is decorated and the architecture is straight out of a postcard. After a long day sightseeing, with everyone tired we headed for an aire near Kaisersberg with the intention of looking around the next day. As we approached it was clear something was on, and we were diverted well out of town to park in the local stadium. Now what? Do we go in and check it out? Wait until tomorrow? How tired are we? In the end we went in. It was a great decision. Imagine a dark, cold night. You're in a medieval, Germanic town, castle on the hill, river winding through, wooden houses hunching over cobbled streets. Everything is tastefully, but brightly decorated for Christmas. ...each selling unique local? Produce. Sound pretty good? Perfect Hollywood Christmas market? That was Kaisersberg.